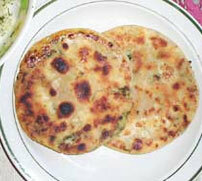 Paratha stuffed with cauliflower – paratha with a different taste. 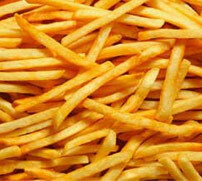 Your own home made Potato fries. 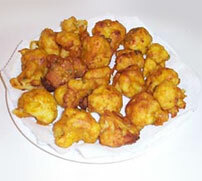 Traditional sweet — mouthwatering fried sweet swirls, made of sugar and flour. 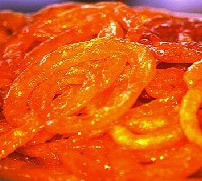 It is one of the most widely used Indian Sweets. 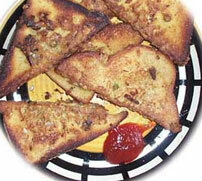 In Calcutta every Sweet Shop make it in the morning and is a great combination with Singara (Samosa) at breakfast time. 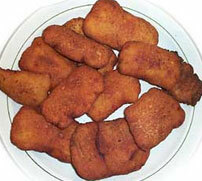 Firni is a type of Payas. 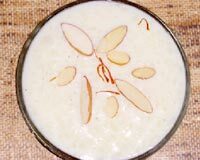 It’s main difference is that it is made of ground rice.This makes it much smoother in texture and is more thicker in consistency,It is stored overnight in earthen bowls which dehydrates it and causes the surface to thicken giving added yummy taste.It is associated with Muslim Festival in India.